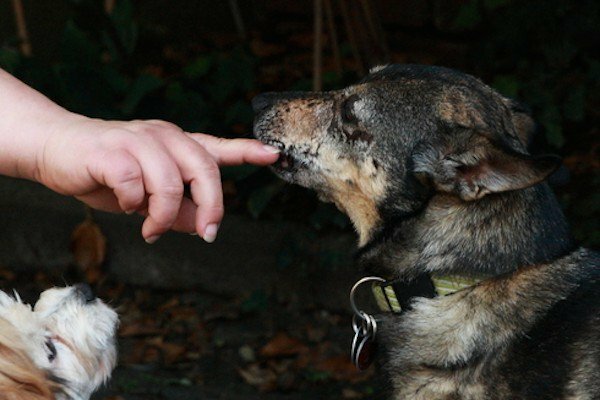 When Una Geiger and her husband rescued Samara, they knew that the dog was close to death. 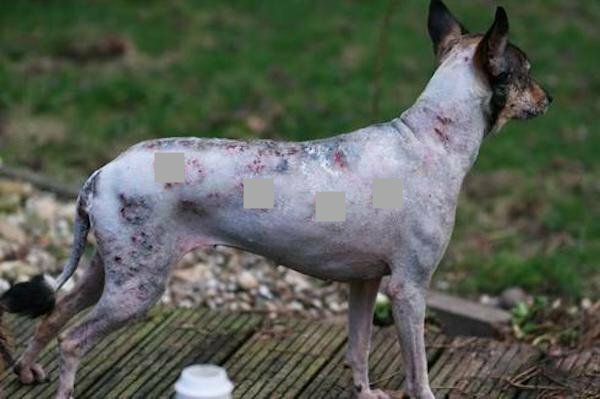 She looked like a zombie dog, riddled with mange and having been badly abused and neglected. 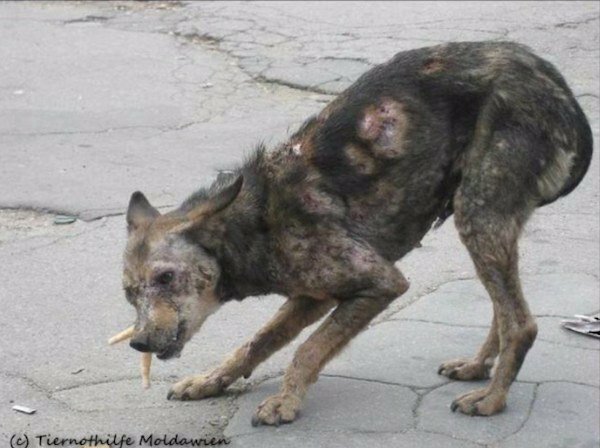 They knew that if she had continued to live on the streets of a Moldavian town, she would likely not survive. Chances were she’d be beaten to death, gassed or run over. 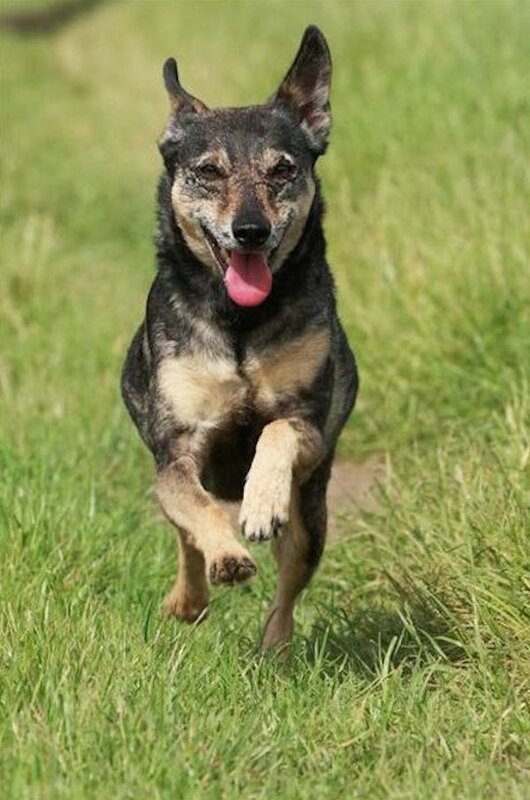 The loving German couple are experienced fosterers and have rescued many badly abused and neglected dogs. They decided to take in Samara and give her the care and love she would need to recover and heal. 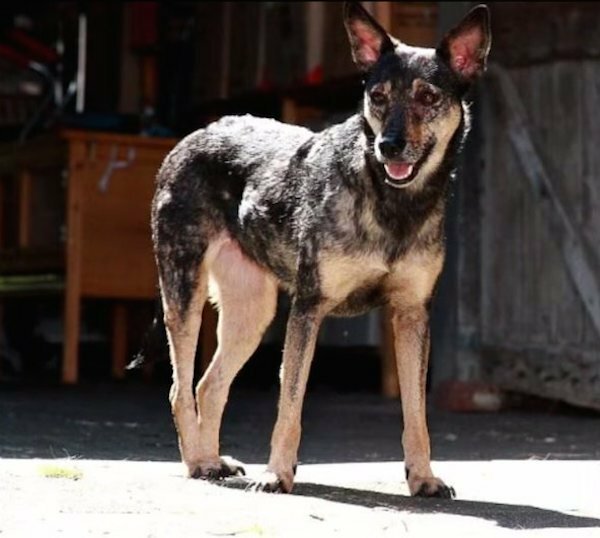 Her amazing transformation demonstrates the power that love and compassion has to transform an animal with a broken heart and body. “Two years ago my husband came across a photo that not only shocked him but also rocked his world. 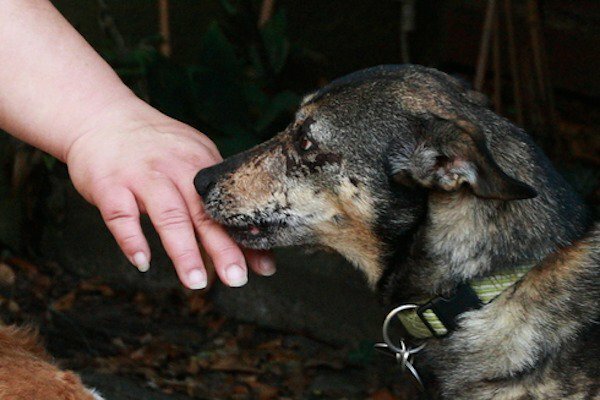 He knew that this little dog was on ‘death’ door’ – if she continued to live on the streets of Chisinau, Moldavia she would be beaten, gassed or run over and if she were to be rescued it might be more merciful to put her down gently. Thus, Samara formerly ‘Cocoshka’ came into our life. A week after Una wrote this, Samara let Una pet her for the first time. She came right up to her outstretched hand and let Una touch her head and chin. We’re sure she’s made amazing progress since then and are so happy and relieved she found the Geigers who knew how to take care of her.